Le Maréchal, a hard raw milk cheese, was created by an artisan cheese-maker from Granges-Marnand, in the Vaudois region near Payerne. It can be eaten plain but also used in delicious recipes like cheese on toast or cheese tarts and, of course, traditional fondues! 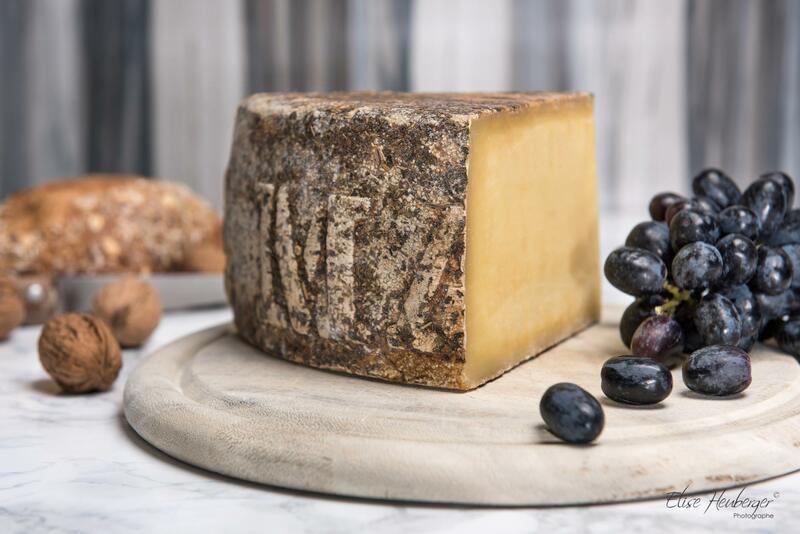 In the 90s, the artisan cheese-maker Jean-Michel Rapin, from Granges-Marnand, created Le Maréchal, a distinctive variant of Gruyère AOP. He dedicated it to his ancestor, a former blacksmith from La Broye. This raw milk hard cheese is aged for at least 120 days with aromatic herbs and is particularly rich in omega-3. Currently, 14 families of milk producers from La Broye guarantee the quality of the milk, in a production process that looks after the dairy cows and nature in general. They add linseed, rich in omega-3, to the cattle feed and these essential fatty acids, which promote blood flow, are therefore found naturally in the rich Le Maréchal cheese. Sold in supermarkets, this cheese is also found on shelves in France, Germany, Belgium, America and Canada. Currently, more than a third of products is exported to these countries.